Panoramic view on Kawanakajima (川中島) in Nagano City, Nagano Prefecture. The large building in the left foreground is Zenko-ji (善光寺), a Buddhist temple built in the 7th century. The town was built around the temple. 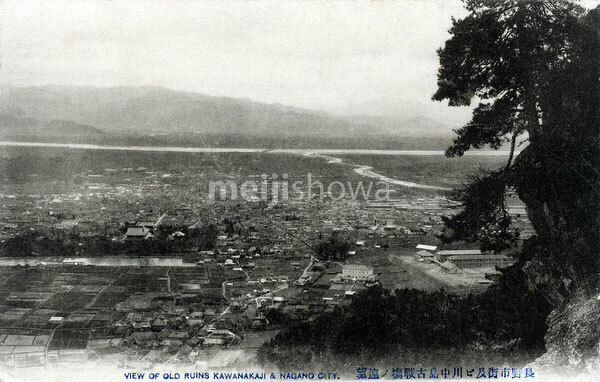 Both the Suzobanagawa (裾花川, right ) and the Saigawa (犀川, background) rivers are visible.